In connection with the Turkish Minister for Culture and Tourism she danced in Galatatower and other famous places in Istanbul for a long period. Sema Yildiz name was widely spread and she part in many films and tv documentariesand daily newspaper series. Sema also danced in festivals abroad as in Syria, Iran, Egypt, Japan Korea and various European countries such as England, Germany, Austria, Holland and Italy, Slovenia, Sweden, Danmark and Ukraine. Sema is recognised as one of Turkey�s leading dance teachers and she has taught nearly all of the well known dancers currently performing in Turkey including famous dancers. Her �girls� can be seen in resorts and clubs all over Turkey and similarities in their dance styles can be traced back to Sema�s focus on grace, energy and energy projection. 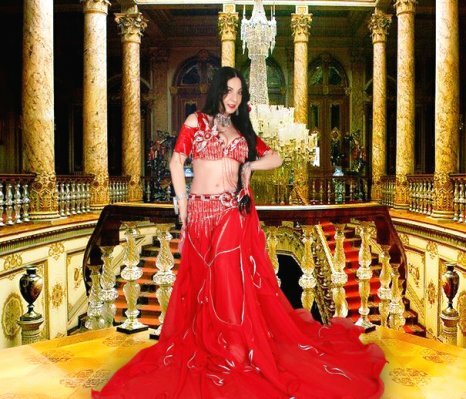 Currently teaching in Istanbul she is still much in demand by young dancers wanting to enter the world of bellydance performance as well as by foreign students wanting to gain a unique insight into Turkish style bellydance as well as the 9/8 rhythms.